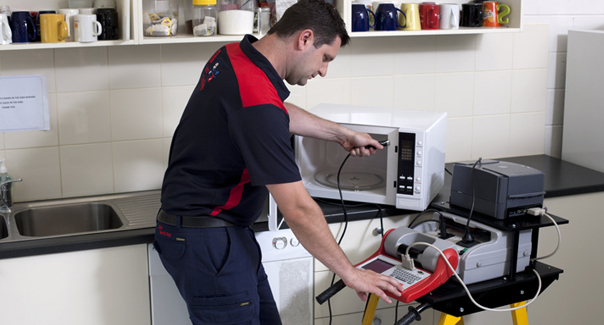 Have you had your electrical equipment tested recently? This is where Jim’s Test & Tag Bunbury come in. Businesses generate thousands of dollars in fines and repair costs because of negligent practices pertaining to their electrical equipment. This is why regular testing and tagging is of the utmost importance when managing and running a business in Australia. Proper testing and tagging of your electrical equipment not only ensures that you protect yourself and others in your workplace; it’s regulation by Australian law. This is why you need a service provider that can test and tag your electrical equipment in Bunbury with the pertinent information needed to get you up to regulation. Jim’s Test & Tag has been working nationwide for over 10 years, consulting and attending to the most reputable businesses, and we’ve got no intention of slowing down anytime soon. Our company takes pride in educating its team members on up to date regulations, and that’s only the beginning. Our service is comprehensive, meaning that we not only test and tag your equipment; we follow up to ensure that you’re always up to regulation. We’ll help you pass your inspections, every time. Our team members are locally trained technicians who offer the best in standards and equipment to our clients, with top notch customer service. Our dedication to our clients is only topped by the amount of expertise we bring to the table, and we’re proud of that. Contact us today to get started with a thorough consultation on what services your business needs. With Jim’s Test & tag Bunbury, we’ve always got you covered.